This is a project that we did last year out of the oh-so-beautiful Calacatta Gold marble. 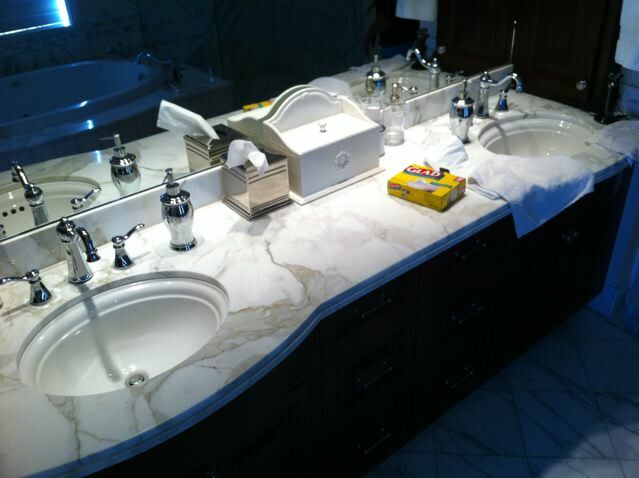 We brought the slabs in from California and then after much searching by BJ and the homeowner they were actually able to find Carrara marble tile that matched the slabs really well. 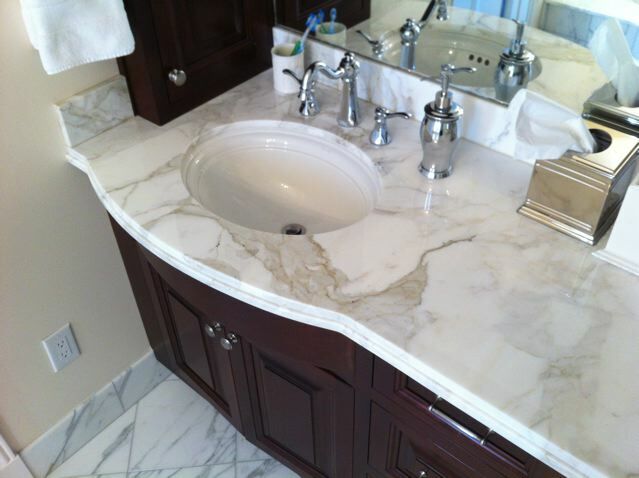 The warm tones of Calacatta Gold can make it a little tricky to match sometimes. 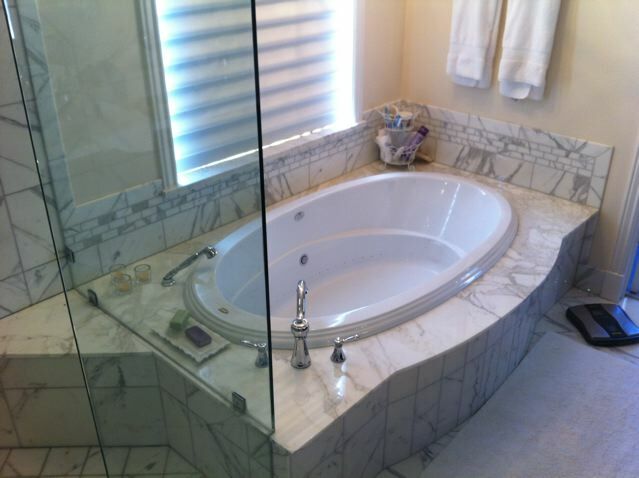 Anyway, this bathroom turned out beautifully. The homeowner was so fun to work with, I'll say it again.....we really do have the best customers! The edge detail is kind of unique, it's not one we do everyday. 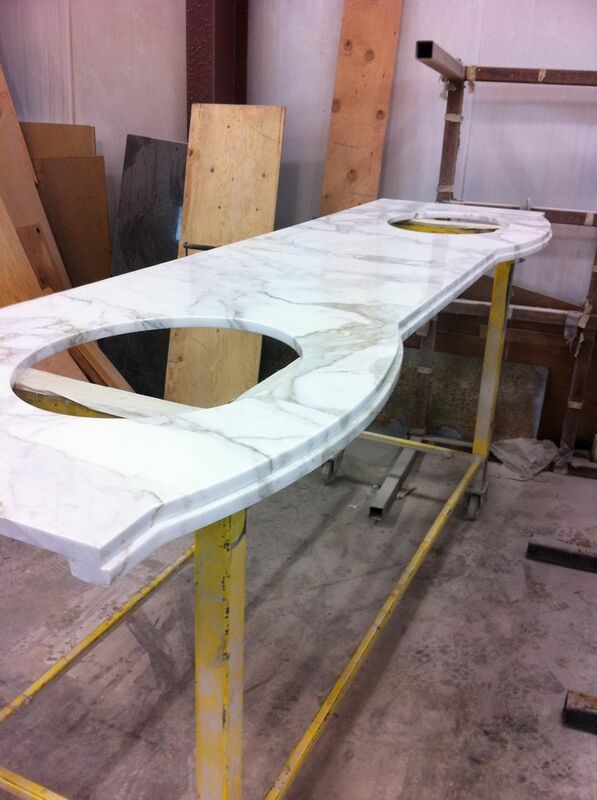 The marble was 2 cm, so we laminated the edge and bumped out the bottom lamination. 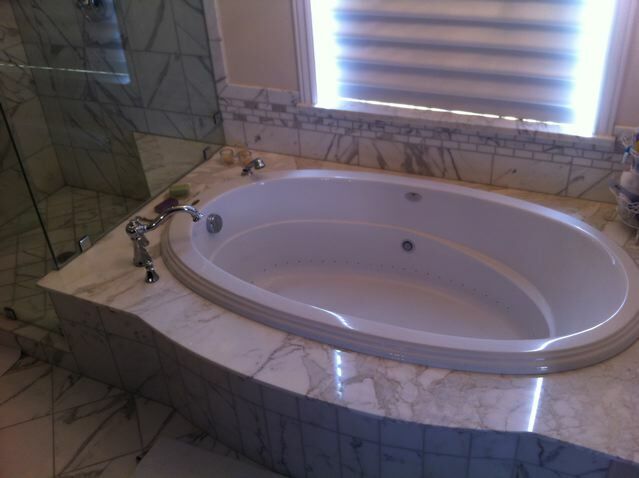 We call it the Cosmopolitan edge. We didn't get a good picture of the edge after the countertops were installed. Here it is in our shop though, it's really a good looking edge. We also did slab on the tub deck, which I love Not only is it beautiful, it's fantastic not to have grout lines! 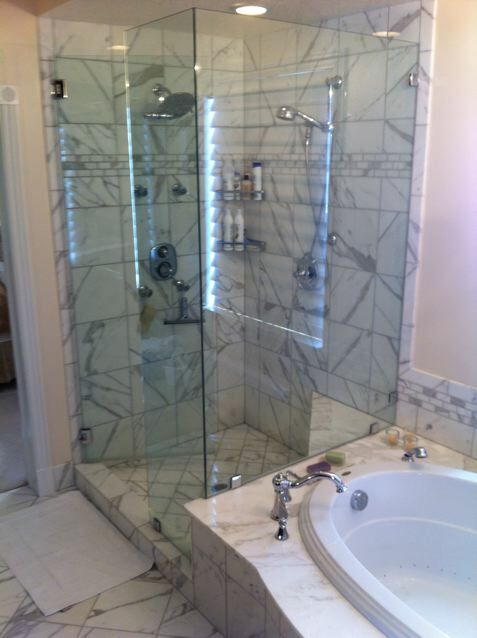 Also notice that the slab goes into the shower as the bench.